My middle daughter has her own style…she calls it boho, vintage, free-spirited or eclectic. Basically, she does not like anything too traditional! 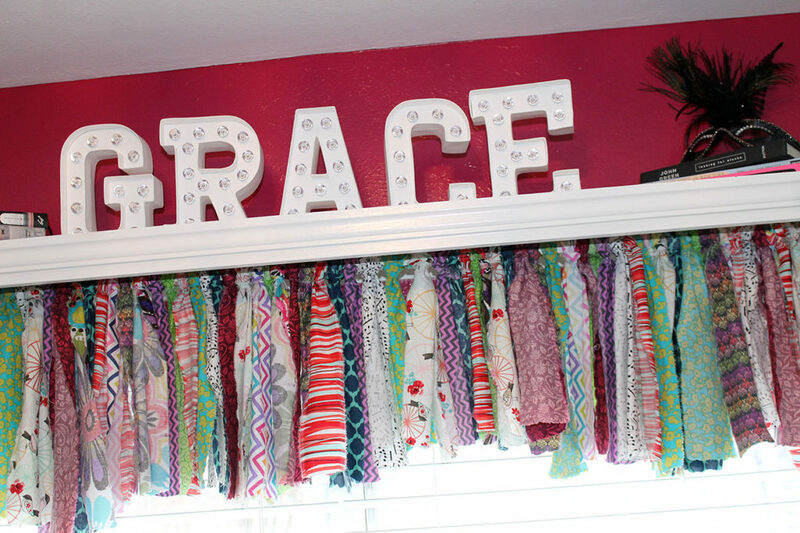 She not only dresses with this carefree attitude, but she also chose to decorate her bedroom with a “boho chic” style. 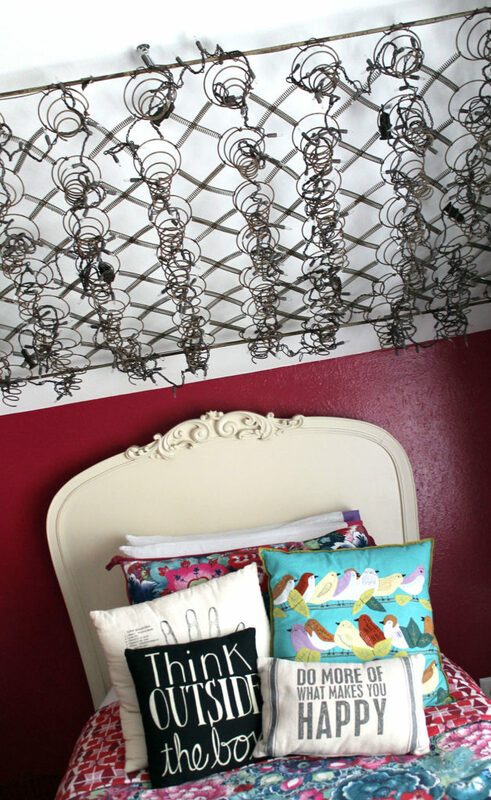 One very eclectic idea that we did in her room is hang an old box spring above her headboard. I know it sounds like a crazy idea, but it has a very unique effect on her sloped wall. For anyone worried about her safety, I had it hung while she was away at summer camp for two weeks…wanted to be sure it was stable for a while before she was sleeping below it! Upon her return from camp, she added white lights to it. 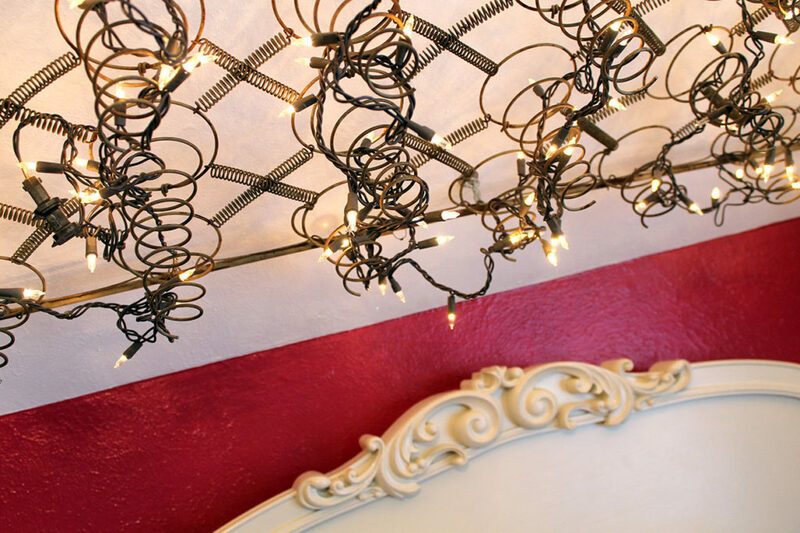 She loves spending time in her room in the evenings when it is dark outside and just the box spring lights are turned on in her room…a fun atmosphere indeed! 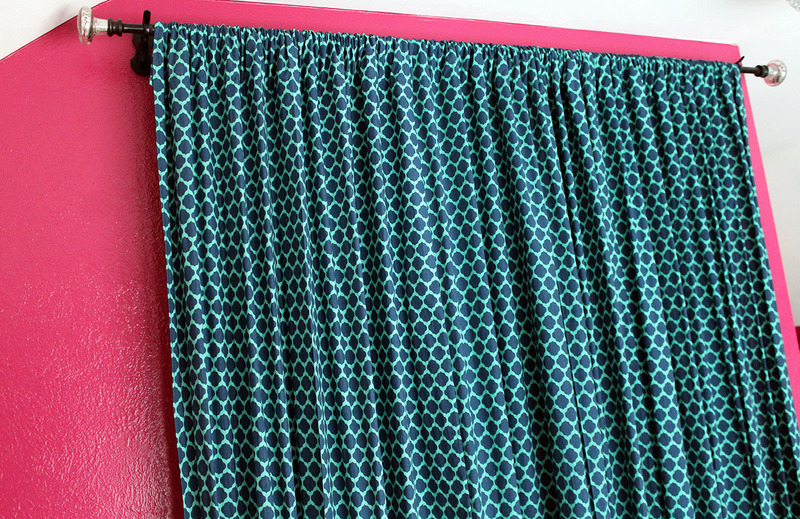 Another vintage-inspired idea in her bedroom is her window treatment. She did not want curtains or a valance that would match her comforter. Nothing matchy-matchy for her! Once again, we did something a little unique! 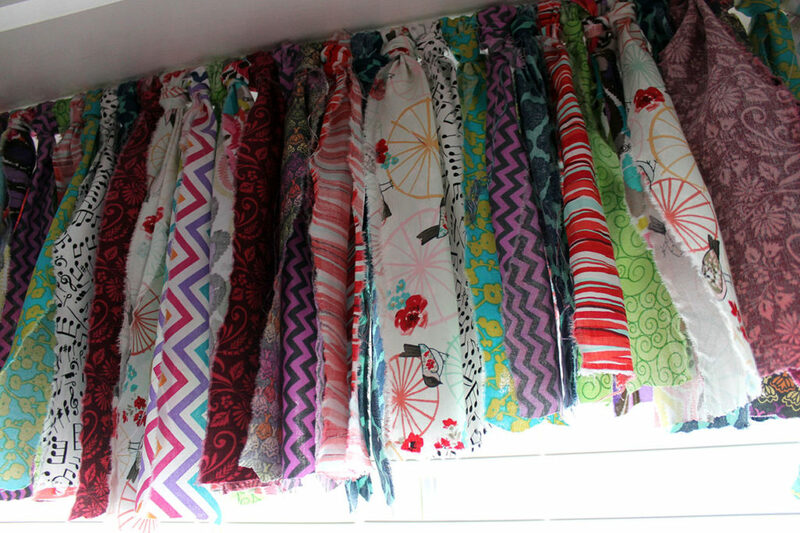 We purchased 10 different fabrics with various prints and designs that coordinated with her comforter and wall color. 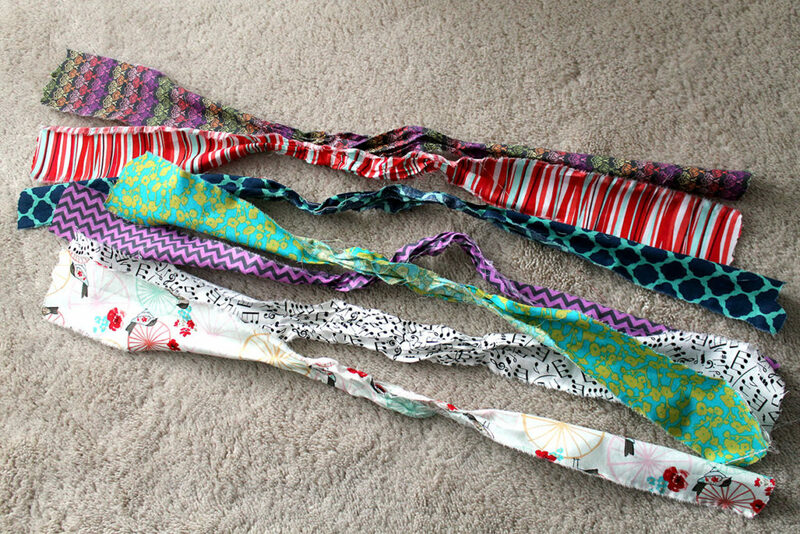 Then we tore the fabric into one inch strips. 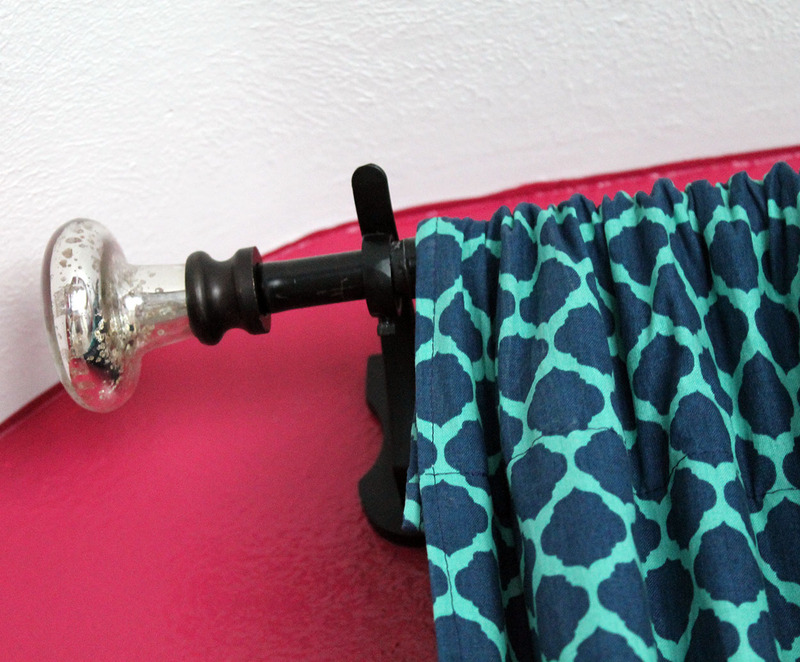 The fabric strips were then looped over the curtain rod and knotted to secure them in place. 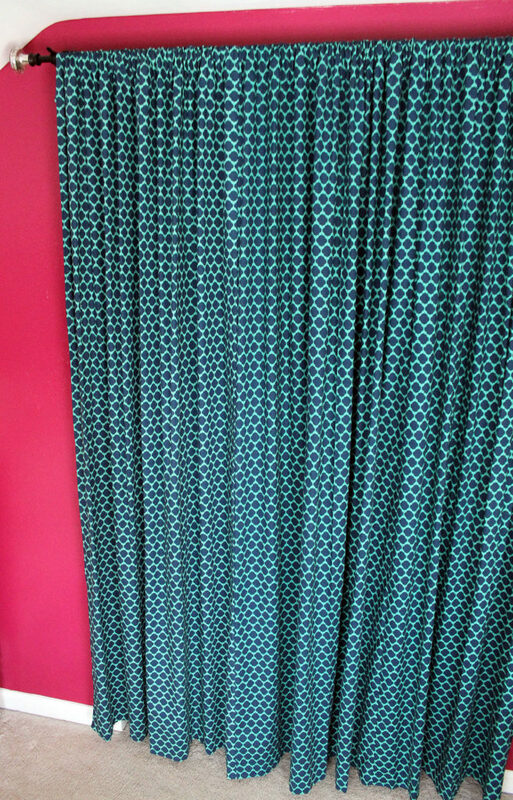 This was done in a random pattern until the curtain rod was covered from end to end. This was so simple to create! In fact, my daughter (who is 14) took over this project after I showed her how to do it. 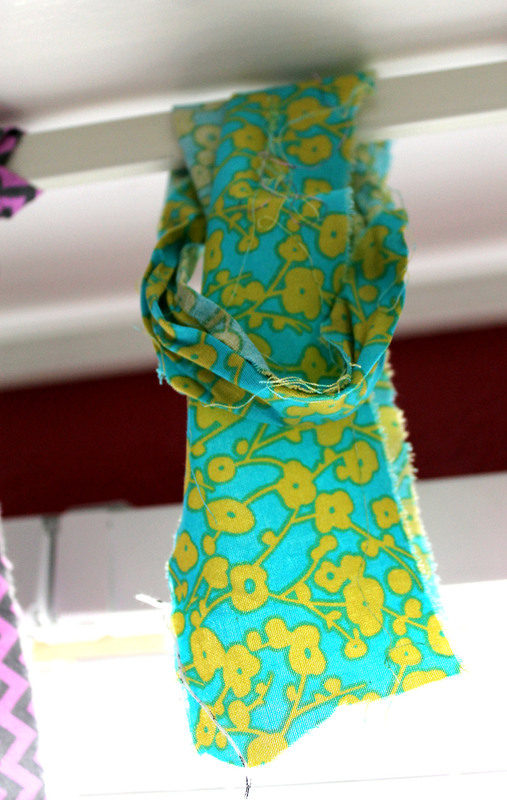 After all the strips of fabric were tied on the rod, we decided to trim the length of it. It could certainly be cut straight across, but she wanted to leave it somewhat jagged. Did I mention she is my free-spirited daughter? 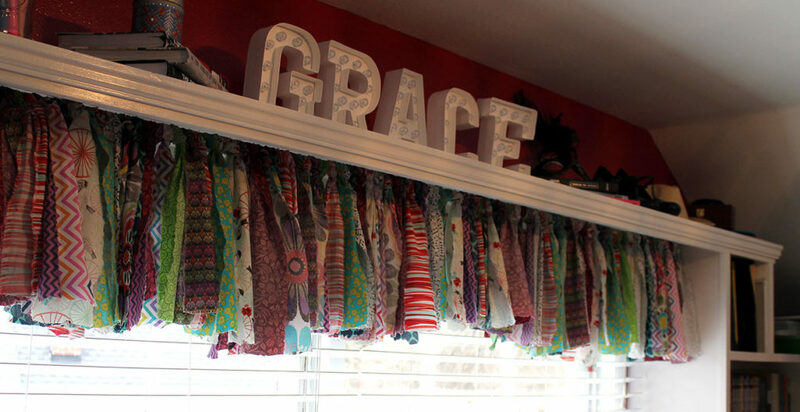 I also used one of the window fabrics to create a curtain for her closet. I had the closet doors removed, and I hung a decorative drapery rod with finials above the opening of her closet. 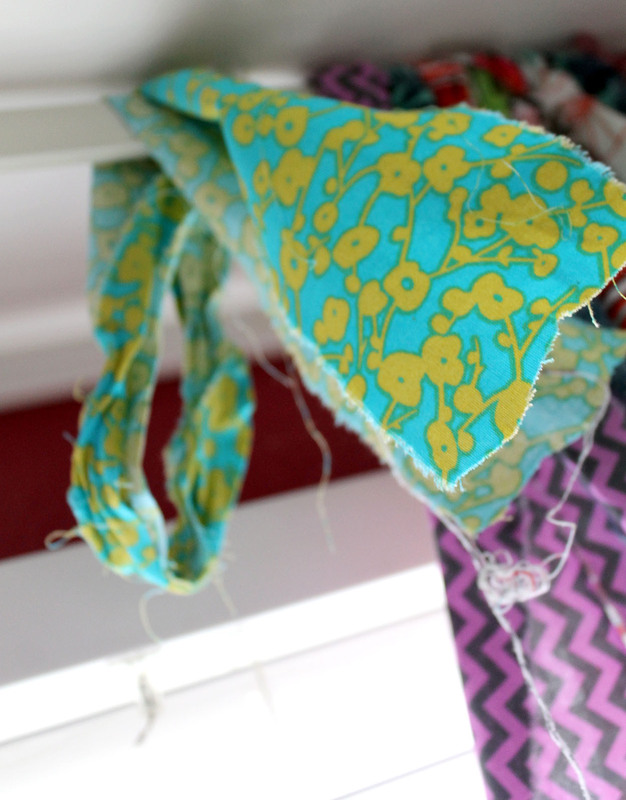 I sewed a pocket opening along the top to allow room for the rod, and I hemmed the fabric around the remaining three sides. 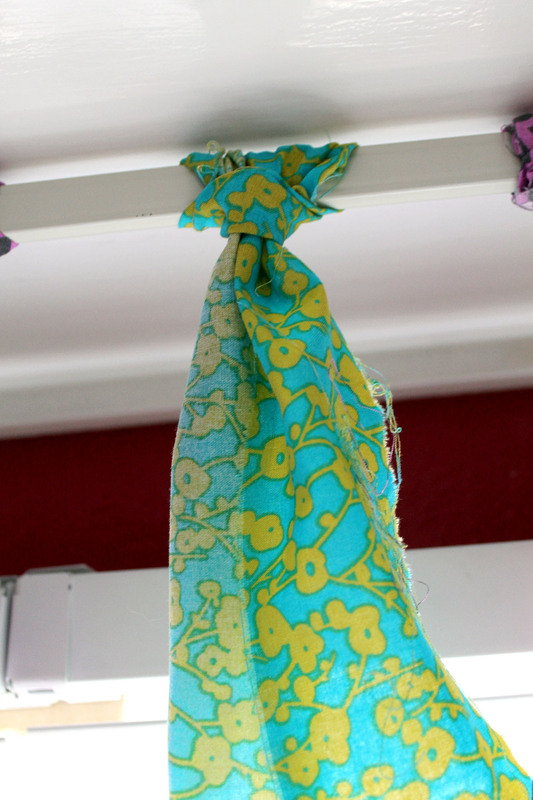 She just slides the fabric along the rod to “open” and “close” her closet. It almost feels like a dressing room in a chic boutique! Given that my daughter is a teenager and spends a large majority of her time in her bedroom, I do think she likes how it all came together. It is definitely her style…boho chic!